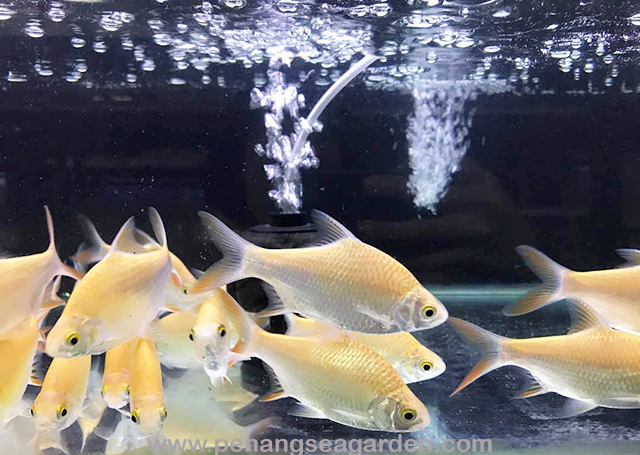 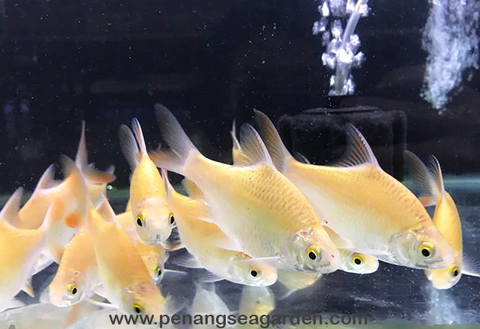 Home › Yellow Gold Tinfoil Barb/Lampan 黄金南邦 3"
Yellow Gold Tinfoil Barb/Lampan 黄金南邦 3"
The Tinfoil barb grows really large, up to 35 centimetres (14 inches) and is therefore not suitable for small aquariums. 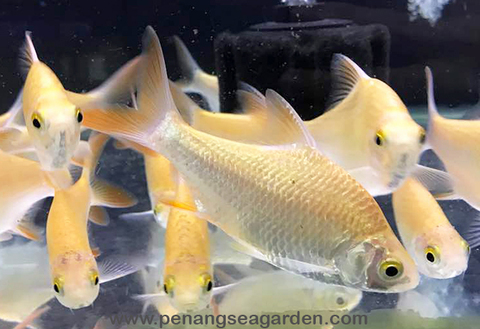 Inexperienced aquarists sometimes purchase young Tinfoil barbs without first researching how big this fish can grow and that you should keep at least 5 specimens together. The Tinfoil barb is also utilized as food fish in its native region and grown in aquacultures.